FLAGSTAFF, Ariz. (AP) – The Hopi Tribe has won a round in its bid to stop Flagstaff from selling reclaimed wastewater to Arizona Snowbowl. On Thursday, the Arizona Court of Appeals overturned a 2011 ruling by a former Coconino County Superior Court judge. 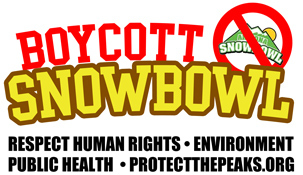 The Arizona Daily Sun reports that clears the way for the tribe to challenge the city’s water contract with Snowbowl. The appeals court ruled the tribe was early in filing a lawsuit ahead of December 2012 snowmaking, that the case wasn’t a delay tactic and it did raise new questions. The Hopi are suing under an assertion that Flagstaff’s decision to sell reclaimed wastewater to the Snowbowl ski resort causes a public nuisance. The tribe says that interferes with much of the public’s ability to enjoy life or property.